Exclusive: There was a time when the Washington press corps prided itself on holding the powerful accountable Pentagon Papers, Watergate, Vietnam War but those days are long gone, replaced by a malleable media that puts its cozy relations with insiders ahead of the public interest, writes Robert Parry. The opening premise of this article perpetrates one of the biggest frauds, if not the biggest fraud, in U.S. media history. The Washington Post’s Watergate “investigation” was nothing but a ruse. In February 1963, Joe Califano, who was then an assistant to Army Secretary Cyrus Vance, put Colonel Alexander Haig in charge of the CIA’s Cuban Brigade (the Bay of Pigs veterans). The Cuban Brigade, to whatever extent, had been assembled by future Watergate burglar foreman Howard Hunt. In May 1969, Alexander Haig, who was then a military assistant to Henry Kissinger, created the White House Plumbers operation to deal with enemies of the National Security Council (NSC). Howard Hunt became a part of that operation. On the morning of June 17, 1972, Joe Califano was the first person to alert the Washington Post of the Watergate break-in. 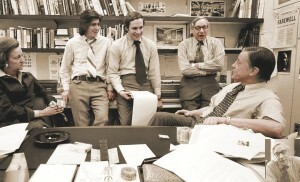 As a very close friend to both Ben Bradlee and Alexander Haig — and a lawyer to both the Washington Post and the Democratic National Committee — he had tremendous influence on the Washington Post’s Watergate coverage from the very beginning. Under the influence of Califano and others, the Washington Post proceeded to lead its readers towards Richard Nixon’s CREEP thus away from Alexander Haig and the National Security Council. It was always about protecting Haig and concealing his domestic intelligence activities. Had those domestic intelligence activities been properly investigated, Haig’s operational relationship with Hunt would have been exposed — an operational relationship that began no later than February 1963. Before the Watergate break-in, that same group of burglars (or roughly the same group of burglars) had burglarized the Chilean Embassy and Daniel Ellsberg’s psychoanalyst’s office. These incidents speak clearly to the fact that the burglars worked for the National Security Council, not CREEP — unless you’re gullible enough to believe that CREEP had an interest in burglarizing the Chilean Embassy. Think about it. Then there’s Bob Woodward. The Washington Post has gone to great lengths to explain how an inexperienced “cub reporter” like Bob Woodward got the Watergate assignment. The truth is very simple: In 1969 and 1970, Navy Lieutenant Bob Woodward worked as some kind of liaison for between the Pentagon and the National Security Council. He was an NSC ringer. His covert mission as a Watergate “reporter” at the Washington Post was to protect Haig, the NSC, and the CIA. It was always about Haig. For more, please read SINS OF THE VICAR. I wonder about the notion that the Washington Press Turned Bad. Was it ever good? So, the same Wapo – which is today known to be a zionist neocon racket – is lauded to be the hero of US journalism, selflessly and couragously acting in the interest to inform the public about the crimes of the US leadership, a couple of years later, when WaPo was led by Graham’s wife? I think it begs the question if there is another angle to that story which makes the behaviour more plausible. What about the theory that Wapo was always a neocon zionist racket and it shot down Nixon with the Watergate story, because Nixon had serious differences with Israel? Nixon himself seemed to have seen it that way. So maybe it’s time to start reviewing Watergate with an additional view from the angle that Nixon seemed to have a problem with the Israeli lobby and that WaPo was hardly doing more than what it always does: pressing the interests of Israel’s lobby? Bandolero on October 30, 2014 at 2:53 pm. I am grateful that there are news outlets like Consortium News, The Guardian as well as others â€“ that provide a truer picture of the world then most of the corporate press. The movie â€œKill the Messengerâ€ is one example that awareness is growing about who has been accurate and who has not. Also the Guardian, which broke the NSA scandal, recently passed the New York Times in Internet traffic. While we are obviously along way from most people getting their news from the most accurate sources. One of the things that is helping us get to a better place, is repeatedly pointing out who is getting it right and who isn’t. Steve,the Guardian has gone to the dark side of neolibconville in the last few years or so,why else would GG leave,and its prominent boosting of that Cumberbatch Assange hit job illuminated their mindset. As far a the MSM,and investigative reporting,Israel and corporate interests have overturned the peoples interests,and Vietnam and the Pentagon papers had nothing to do with Israels security,and Nixon was on their sh*t list,partly because of his independence regarding Israel. The Guardian, unfortunately, is no longer a reliable source of information. Their reporting on Ukraine is just one small example. Their last great act was breaking the NSA story. After that, they slid downhill so fast that you have to wonder who got to the publisher and what they used against him. Truly terrifying. Thanks for this article, Bob. Not many other people could have written it, since you are one of the few who was actually there and managed not to get sucked into the system â€“ a real feat, I know, since I was there, too. The rewards for becoming a member of the “club” were many, as were the penalties for those who refused. That said, I didn’t notice many of my colleagues being coerced into writing flattering stories about their government and corporate subjects. In my observation, they genuinely liked most of their sources and easily fell into that value system. It was difficult to be in that environment and not to be swept up in it. By the time reporters advanced to assistant editor or editor, they were well entrenched in the group think. Another consideration, perhaps even more of a factor that 9/11, was the Internet. Although many young journalists in the early 80s had visions of being the next Woodward and Bernstein, the reality of the daily grind set in, with ever-increasing demands for a certain number of stories a day or week. Once the Internet became a major source of news, the demand was insane. Not only did you have to write all those stories for print, but you had to write constant updates throughout the day to beat the competition, and heaven help you if you had a different “lede” than The Wall Street Journal or The Washington Post. There was no point in arguing with the editor that yours was better. I finally threw in the towel when I was working 70 hours a week on a 40-hour salary, writing articles that fed a corrupt system. So yes, at that point I knew I was presenting a false reality, and while that’s what the readership wanted, I couldnâ€™t do it. But there is no question that my colleagues and editors bought into their version of reality without so much as a nagging doubt. In my last few weeks on the job, I was investigating the California energy crisis, convinced that the energy companies were manipulating the market â€“ Enron being the worst. I thought my editors would be interested and was shocked when they called me a conspiracy theorist and told me that if I didnâ€™t back off, I was going to get the publication sued for libel. They assured me that if anything was fishy, state and federal regulators would be on it. A few weeks after that conversation, in February 2001, I quit. In March, Bethany McLean’s story broke in Fortune, and still the mainstream ignored it for months. The postscript to the story is that I left Washington for a small-town weekly, only to find that I wasn’t allowed to write anything that offended the paper’s advertisers or the publisher’s buddies in local and state government. I lasted less than four months and left journalism for good. Pat I came across this story (see link) and thought of what you wrote here. Pat, I think I should explain something about the link I provided describing Sharyl Attkisson’s dilema. In the article Sharyl Attkisson’s is disgruntled about the network believing her stories are too right wing for their viewership. Yet, whether the reporting turns out to be red or blue should not matter, if facts are truthful. What I see as the bigger problem is editors with agendas, and their attempting to control the official narrative, so as to gain points with whomever. Am I wrong? No matter what reporters should be allowed to deliver the news as best as the truth will allow. Interesting link. Thanks, Joe. That pretty much says it all, and you didn’t need to add the qualifier. Good, I am glad you understand where I was coming from…take care Pat. Thanks once again for that enlightenment. These people in the media who knowingly paint false pictures of reality, act more as operatives promoting, and effectively leading the country into establishment fascism. If they’re not on the government payroll directly (which some of them are in one sense or another), certainly they’re on the corporate payroll in the sense they’ve sold out true journalism, their integrity, and the American public to the highest bidder. It’s no stretch to say these operatives, official government and otherwise, are traitors to democracy and the rule of law while effectively aiding lawlessness to escape justice. Traitors: as because of their actions we no longer have a democracy or freedom, either physically or intellectually. And while they may think they’re being patriotic, that belief, while causing great damage, is little more than an indication of their individual and collectively corrupted-intellects allowing them to put the country and the world under a terrible and dangerous strain. By 2016, The National Popular Vote bill could guarantee the majority of Electoral College votes, and thus the presidency, to the candidate who receives the most popular votes in the country, by replacing state winner-take-all laws for awarding electoral votes. The bill would take effect when enacted by states with a majority of Electoral College votesâ€”that is, enough to elect a President (270 of 538). The candidate receiving the most popular votes from all 50 states (and DC) would get all the 270+ electoral votes of the enacting states. The bill has passed 33 state legislative chambers in 22 rural, small, medium, large, red, blue, and purple states with 250 electoral votes. The bill has been enacted by 11 jurisdictions with 165 electoral votes â€“ 61% of the 270 necessary to go into effect. They boys never explained Watergate. What was the purpose of the break-in? What was Nixon looking for? This is a most timely, welcome and insightful op-ed on the parlous state of the MSM at present. It is also serendipitous I feel. Which is to say, although I hesitate to place my own contributions in the same league as yourself and Chris Hedges (whose article on TruthDig yesterday cover similar territory; see link below), you received from me yesterday a similarly themed piece for publication. Yet whilst covering similar territories, both yours and Chris’s article helped fill in for me several gaps and provided an even starker portrayal of the venality and amorality of the Fourth Estate. That they have utterly betrayed the fundamental principles of news reportage, and undermined all the basic elements upon which a functioning democracy can prosper and survive into this Faustian bargain is a given. Put simply, if I had any doubts at all before submitting my piece about the views I articulated therein, they were dispelled upon reading yours and Chris’s pieces today. In 1991 I helped bring then-Senator John Kerry to Hampshire College in Amherst for an event that was attended by about a hundred people. Near the end of the question and answer period I challenged him with a strong complaint about why the Senate investigation he oversaw into CIA involvement in cocaine smuggling during the time the Boland Amendment was in effect wasn’t more vigorously pursued and promoted given the risks and efforts of so many within and outside of the US government to mitigate the carnage in Central America, “waving the bloody shirt” a bit I’m afraid as I was peripherally involved when in the Air Force, and perhaps blindsiding him as I was the one chiefly responsible for organizing his talk. He became quite visibly distressed, and apologetically replied that “we felt that the country wouldn’t be served by another Watergate” so soon after the original. Objectively, what might have happened if he had done his constitutional duty? Would the Soviet Union and Warsaw pact have muddled on with the real possibility of nuclear war? On the other hand the behavior of the Clinton White House in Europe, and that the State Department currently in Ukraine doesn’t make me feel like it was in the end justifiable to protect US institutions at the expense of its principles. Again we have the idea, expressed this time by Kerry, that Americans “can’t handle the truth”. The failure of ‘forget the past, we must look forward’ is that, unchecked, the powers that be know they can get away with more and more. As the decades have gone by, I am not sure we can handle the truth any more, especially when I read some of the brainwashed comments following internet news articles. The Century of the Self (2002), http://vimeo.com/85948693 a British television documentary series by Adam Curtis, raises the question of the intentions and roots of the psychological techniques used in the business and political world. Where once the political process was about engaging people’s rational, conscious minds, as well as facilitating their needs as a society, the documentary shows how by employing the tactics of psychoanalysis, politicians appeal to irrational, primitive impulses that have little apparent bearing on issues outside of the narrow self-interest of a consumer population. I would also highly recommend another documentary by Adam Curtis called “The Power of Nightmares”. It ruthlessly examines how politicians no longer promise to fulfill our dreams for a better future, instead they claim they will protect us from nightmares. I find whatâ€™s happening terrifying, truly frightening. And when you look closely at all of the documents that were purportedly given to WikiLeaks by Bradley Manning and published through Assange, none of them were top-secret. I mean, as a former investigative reporter for The New York Times, it was my job to go and find out often top-secret information. And thatâ€™s why I canâ€™t understand the inability of the traditional press to grasp that we are now in the last moments of an effort to, in essence, effectively extinguish press freedom. AP is like The New York Times, an amazingly cautious organization, but read the comments. I mean, they get it, internally. But, unfortunately, you know, they have divided us against ourselves, and what weâ€™ve undergone, as John Ralston says and as Iâ€™ve said many times, is a kind of corporate coup dâ€™Ã©tat. What we are seeing is a system put into place where itâ€™s all propaganda. And anybody who challengesâ€”I mean, look, this constant reference to a shield law is absurd, because they just violated the shield law by not going to court and informing AP of a subpoena but doing it secretly. So, I mean, youâ€™ve got to hand it to the Obama administration. Theyâ€™re far more clever than their predecessors in the Bush administration, but theyâ€™re carrying out exactly the same policy of snuffing out our most basic civil liberties and our most important press freedoms. And thatâ€™s because they know whatâ€™s coming, and they are going to legally put in a place by which any challenge to the centers of corporate power become ineffectual or impossible. 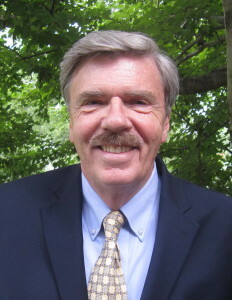 Here is an article written by Chris Hedges which compliments what Robert Parry is saying. Here is a link to the Lewis Powell Memo which lays out a plan to get out the conservative word out. I have written before how if America were to be so lucky, as to acquire an honest press how this could be a real game changer. The media in the U.S. is nothing more than a mouth piece for big brother. Until this changes everything will remain the same. Where is our Thomas Paine? The mass media are plagued by the same mediocrity, corporatism and careerism as the academy, labor unions, the arts, the Democratic Party and religious institutions. They cling to the self-serving mantra of impartiality and objectivity to justify their subservience to power. The press writes and speaksâ€”unlike academics that chatter among themselves in arcane jargon like medieval theologiansâ€”to be heard and understood by the public. And for this reason the press is more powerful and more closely controlled by the state. It plays an essential role in the dissemination of official propaganda. But to effectively disseminate state propaganda the press must maintain the fiction of independence and integrity. It must hide its true intentions. The mass media, as C. Wright Mills pointed out, are essential tools for conformity. 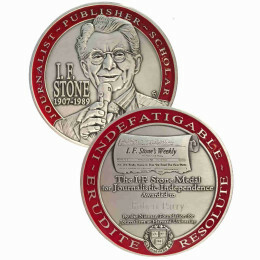 They impart to readers and viewers their sense of themselves. They tell them who they are. They tell them what their aspirations should be. They promise to help them achieve these aspirations. They offer a variety of techniques, advice and schemes that promise personal and professional success. The mass media, as Wright wrote, exist primarily to help citizens feel they are successful and that they have met their aspirations even if they have not. They use language and images to manipulate and form opinions, not to foster genuine democratic debate and conversation or to open up public space for free political action and public deliberation. We are transformed into passive spectators of power by the mass media, which decide for us what is true and what is untrue, what is legitimate and what is not. Truth is not something we discover. It is decreed by the organs of mass communication. Bridging the vast gap between the idealized identitiesâ€”ones that in a commodity culture revolve around the acquisition of status, money, fame and power, or at least the illusion of itâ€”and actual identities is the primary function of the mass media. And catering to these idealized identities, largely implanted by advertisers and the corporate culture, can be very profitable. We are given not what we need but what we want. The mass media allow us to escape into the enticing world of entertainment and spectacle. News is filtered into the mix, but it is not the primary concern of the mass media. No more than 15 percent of the space in any newspaper is devoted to news; the rest is devoted to a futile quest for self-actualization. The ratio is even more lopsided on the airwaves. At the core of this pseudo-world is the myth that our national institutions, including those of government, the military and finance, are efficient and virtuous, that we can trust them and that their intentions are good. These institutions can be criticized for excesses and abuses, but they cannot be assailed as being hostile to democracy and the common good. They cannot be exposed as criminal enterprises, at least if one hopes to retain a voice in the mass media. Those who work in the mass media, as I did for two decades, are acutely aware of the collaboration with power and the cynical manipulation of the public by the power elites. It does not mean there is never good journalism and that the subservience to corporate power within the academy always precludes good scholarship, but the internal pressures, hidden from public view, make great journalism and great scholarship very, very difficult. Such work, especially if it is sustained, is usually a career killer. Scholars like Norman Finkelstein and journalists like Webb and Assange who step outside the acceptable parameters of debate and challenge the mythic narrative of power, who question the motives and virtues of established institutions and who name the crimes of empire are always cast out. The press will attack groups within the power elite only when one faction within the circle of power goes to war with another. Chris Hedges embarks on a long, ranging discussion with political philosopher and former professor of politics at Princeton University Sheldon Wolin on the state of American democracy and the rise of corporate capitalism. Go to end of article hit – here, here, and here – to watch 3 part video. Thank you for reminding us of the facts, and thank you for your work then and now. It would be interesting to see the extent to which money has been persuasive, as opposed to sociology. I imagine that advertising consultants advised that the money would flow only when business and its candidates were portrayed as virtuous. 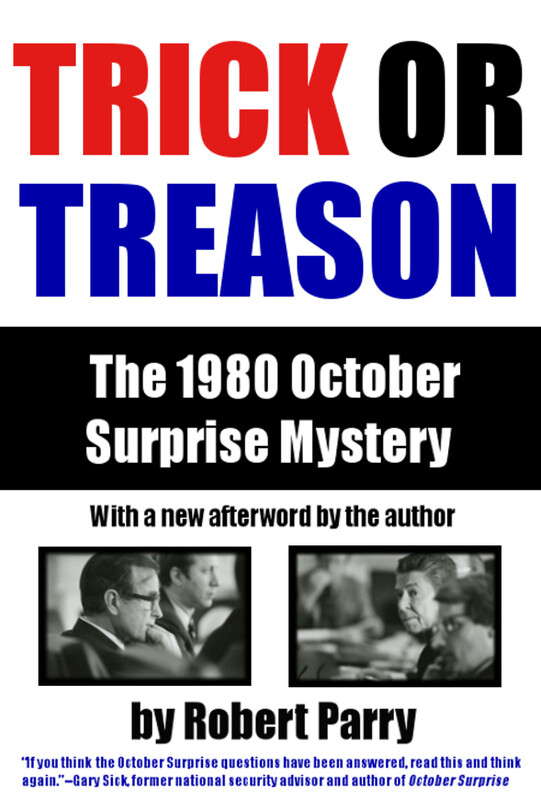 No doubt tests were made, a story biased or suppressed in exchange for a major advertising contract, and soon enough the cashflow improved, and the “good sense” of supporting Reagan’s “feel good” nationalism became good money as well. It didn’t take long under that media consensus for the support of progressivism to disappear among the people as well. The activist students of the 70s now had families and careers to tend, and the next student generation had been trained to hate them. All will be well as long as we all insist that it is well, at least until some new troublemaker reveals more secret wars, or the next financial bubble bursts (the S&L crisis), etc. The generations of reform disappear, but the forces of corruption are always at work with far greater resources.